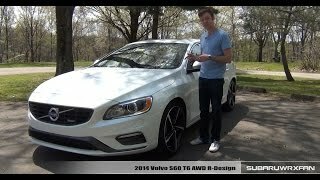 The 2014 Volvo S60 is an amalgamation of versatility with sedan. The classic and elementary view of the car enriches its beauty, with its marvelous components to ensure that the real joy driving is being delivered. The full front facelift combined with the stylish back ensures that the glimpse cannot be resisted. 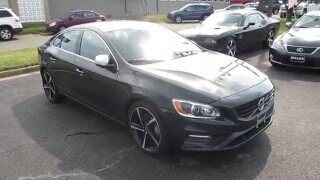 The silk and metal frames, sporty seats and the terrific combination of wood and leather upholstery blooms the interiors of the car .The all new tailpipes, better exhaust system, variety of wheel choices, and enriched by the quality of Volvo, this sedan establishes itself as a `Perfect car’. 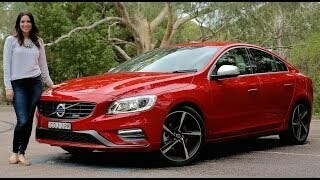 The S60 comes with the 1.6-litre GTDi (Gasoline Turbocharged Direct Injection) engine T4 (180 hp) and T3 (150 hp). 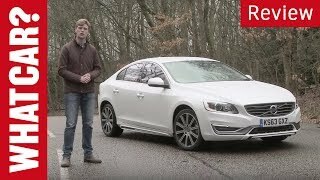 Volvo has taken full care that the fuel efficiency is being delivered with environmental effectiveness. The fuel efficiency provided in the diesel D2 version has been improved to the class- leading 4 l/100 km (EU Combined, preliminary figures), thus emitting CO2 of only 106 g/km. The corresponding figures with the automatic gearbox comes out to be 4.1 l/100 km and 107 g/km (preliminary figures). Sensus i.e. the human machine interface, comes equipped with 7-inch touch screen which makes the car-administration a play. The car is being mounted with a 3G/4G dongle, which allows the car to have access to Google maps, 3D navigation, free parking locater, weather broadcast, dangerous zone warnings, Wi-Fi sharing to the persons in the car, and a reach to many native web applications. Features such as the Paddle shifters allow the driver to shift the automatic box into manual, without removing the hands from steering. The permanent high beam with groundbreaking technology makes driving at night safer. When another car approaches from the opposite direction, the system helps to prevent dazzling of the oncoming driver by shading out only as much of the beam as necessary. This is done by an ingenious projector module mechanism integrated into the headlamp. Volvo’s pioneer, intellisafe systems takes utmost care of the driver while driving up to 50km/hr. The radar based Blind spot information system (BLIS) alerts the driver about the rapidly approaching vehicles from back (70m) and alternatively informing the driver about the cars in the blind spot on both the sides. 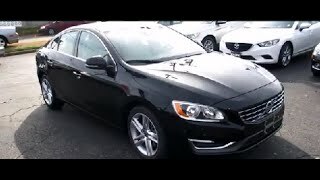 At the stroke the Volvo S60 is a must buy for enjoying the pleasure of driving with safety.